Spike is a man-portable "fire and forget' missile built by Israel's state-run firm, Rafael Advanced Defence Systems, which can hit moving targets such as a tank. It allows the soldier who fires the missile to quickly move for cover. NEW DELHI: India has cancelled a $ 500 million deal to buy 1,600 Spike anti-tank guided missiles from Israel, the state-owned defence contractor Rafael Advanced Defence Systems announced on Wednesday. The Defence Ministry had taken the decision much earlier but the company was formally informed only last week, around the same time that New Delhi was finalising purchase of $ 70 million deal for 131 Barak surface-to-air missiles from the Israeli firm. The deal was cleared by a top Defence Ministry panel on Tuesday. In a statement, Rafael said it regretted India's decision but remained committed to cooperating with the Defence Ministry and "to its strategy of continuing to work in India, an important market, as it has for more than two decades, to provide India with the most advanced and innovative systems." Spike is a man-portable "fire and forget' missile that can hit moving targets such as a tank, allowing the soldier who fires the missile to quickly move for cover. India had opted for the Israel's Spike over the Javelin missiles offered by Washington in 2014. Negotiations with Israel's Rafael for the Spike missile had been completed and the Israeli firm had already constructed a missile-manufacturing facility near Hyderabad in joint venture with the Kalyani group. 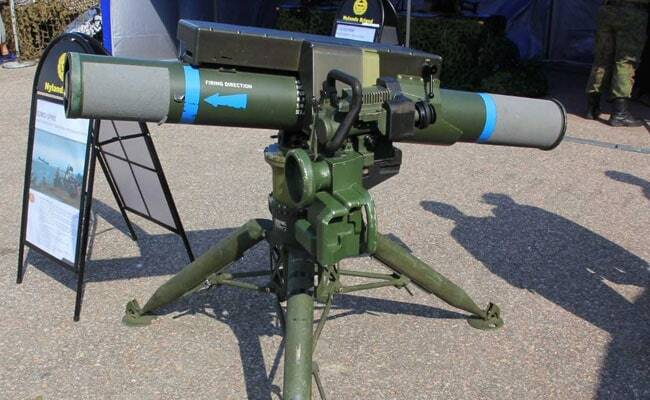 Till then, Pakistan's foot-soldiers might have an edge over Indian infantry soldiers because they have portable anti-tank missiles that can strike Indian tanks and bunkers at a distance of 3-4 km; India's equivalent missiles have a range of just 2 km. Sources have indicated that Rafael's Hyderabad facility would not be scrapped as it was designed to accommodate "a number of other projects Rafael is engaged in with its Indian partners".